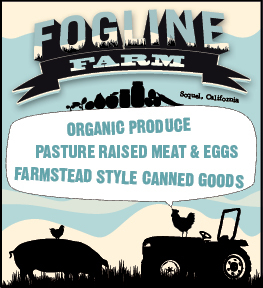 Do you know that if you are a Fogline CSA member that you also receive 10% off all purchases at our Farmstand? We designed these nifty cards so you can show them to any of our awesome marketers and claim your discount. We'll see you soon! Spring time is a busy time for us up at Fogline. We always find ourselves doing infrastructure projects, building more coops, prepping soil and planting... a lot. Here are a few photos of the happenings.